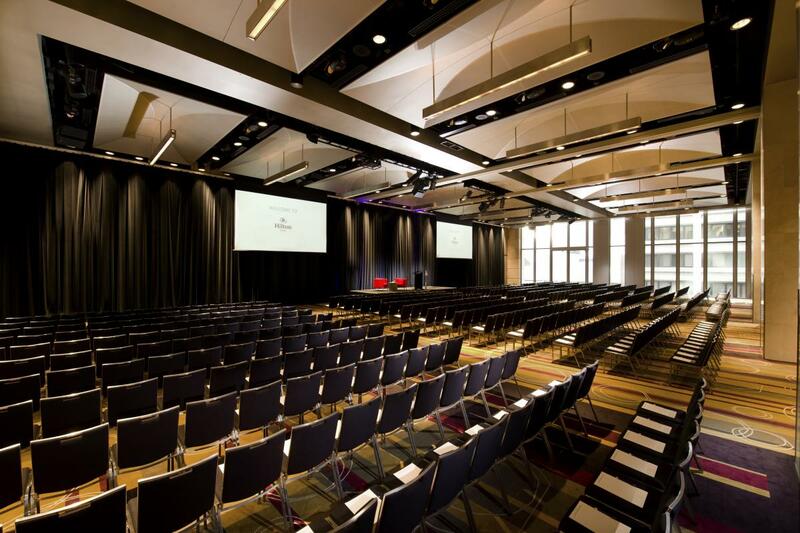 With exceptional facilities for business or leisure, Hilton Sydney is superbly located right in the heart of the city, with magnificent views and convenient access to Sydney’s favourite attractions. At Hilton Sydney you can choose a range of hotel accommodation from guest rooms to spacious suites. Don’t forget to keep active at the LivingWell Premier Health Club with a 25m swimming pool and full gym facilities. The Hilton Sydney also boasts stylish bars, with dining by celebrity Chef/Restaurateur Luke Mangan at the famous glass brassiere. Or relax with a cocktail on the rooftop terrace at Zeta Bar and enjoy live music at the iconic Marble Bar. With multiple options available for travelling to and from Sydney Airport, you’ll never be stuck for transport. Sydney Airport is located just 13 minutes by train from the city. There are train stations located at both the International and Domestic terminals, which operate as part of the Airport Link train service. The Domestic terminal train station is located directly between T2 and T3 terminals and is accessible from within the terminals from the Arrivals level. The International terminal train station is located at the northern end of the terminal and is accessible from the Arrivals level. For the latest information about the Sydney train network, service and trackwork updates, and other Sydney train information, visit the Sydney Trains website. Check Opal's website to find the most convenient retailer to buy or top up your Opal public transport card (http://www.opal.com.au). Sydney Buses operates a timetabled service between Bondi Junction and Burwood which stops at both the International (T1) and Domestic (T3) terminals. Clearly marked bus stops are located on the arrivals level outside each of these terminals. General information about fares, timetables and connections to other parts of Sydney is available at http://www.sydneybuses.info. Curbside supervisors can also organise taxis with baby capsules, wheelchair access, five-seaters and maxi taxis for larger groups or station wagons for large amounts of baggage. Search and compare the best Sydney Airport car rental deals from quality car hire providers like Avis, Hertz, Europcar, Budget, Thrifty and Redspot. Car rental desks located on the arrivals level at both terminals. Your car rental company will direct you to the correct parking location to pick up your vehicle. To drop off your car rental, follow the signage to the car rental area on the ground floor of the multilevel car park.